This week at Jingle Belles we're celebrating holiday things that fly ... angels, cardinals, doves and yes, even reindeer and Santa's sleigh! Won't you join us?! 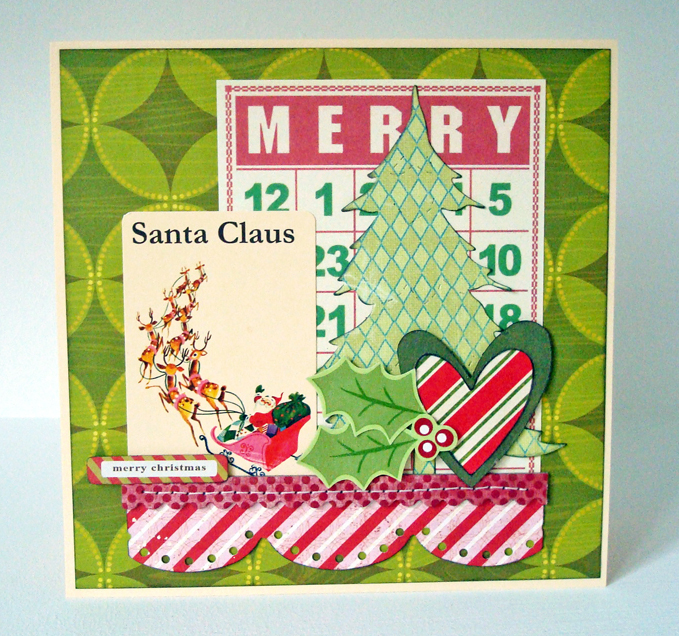 Lauren says, "Despite having a number of elements, this card came together more easily than almost any I've made all year. Partly because the October Afternoon Miscellany card with Santa's sleigh on it is just sooooooooo unassailably awesome; but then so is this week's Super Sketchy Sunday Sketch from 365 Cards! Easy, peasy!" 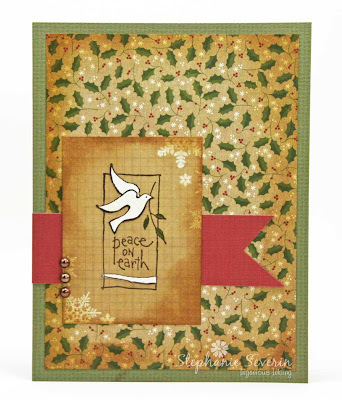 Stephanie says, "Peace stamps are my favorite for the holidays, so I decided to use the dove from Peace Window by Stampendous. 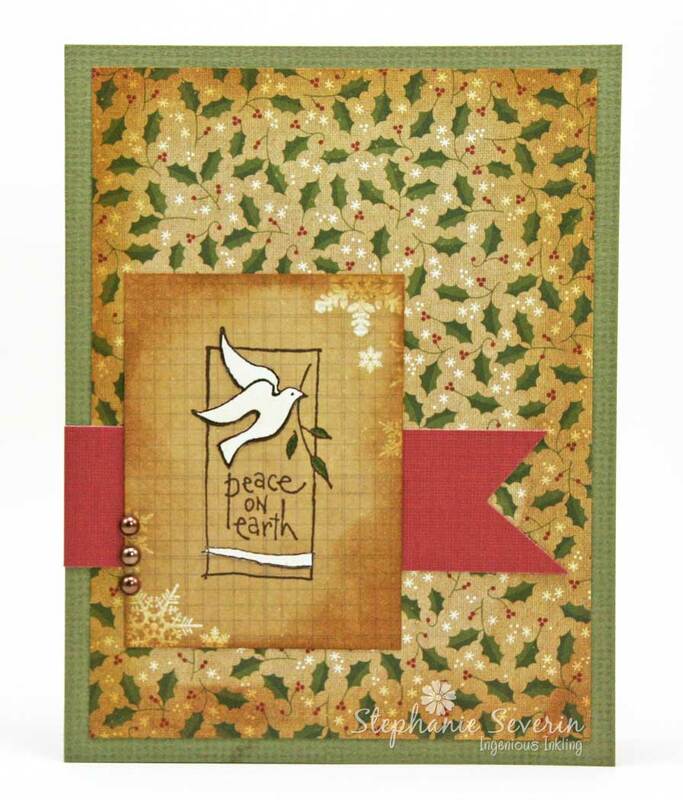 I stamped it once in dark brown on the kraft journaling card & a second time on a piece of ivory designer paper to paper piece the dove & stripe on the image. Papers are from Simple Stories Handmade Holiday & the layout is from Sketch Saturday." 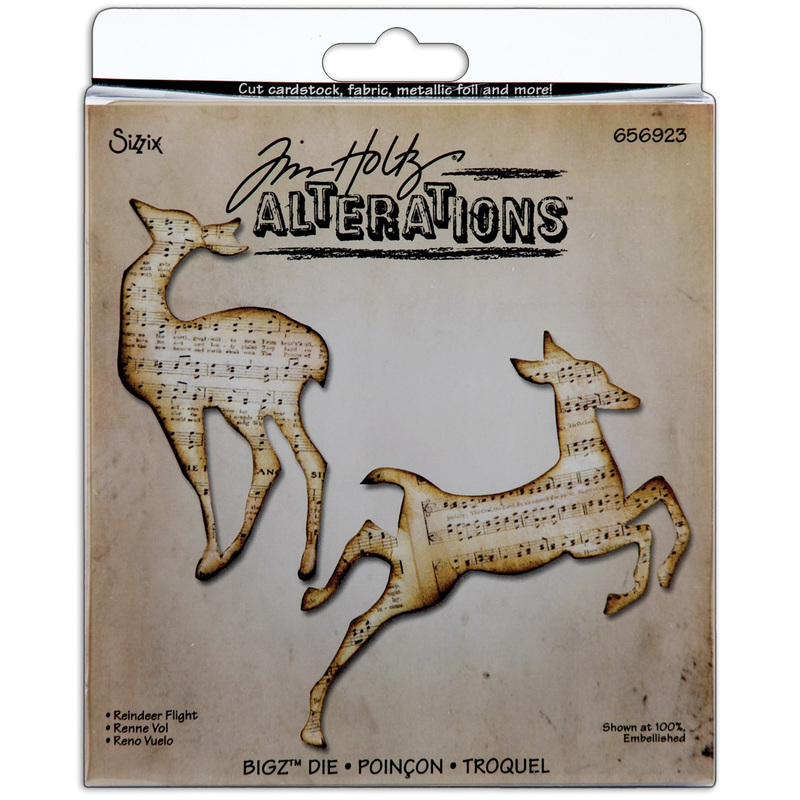 If you need a little more incentive, one lucky cardmaker who links up with us this fortnight will receive their very own Reindeer Flight Die Set. Woohoo! So dust off your angels, your flying sleighs, your Christmassy birds, and link your holiday card between now and May 8th at 6pm (EST), and not only will you have a chance at the prize, you'll be one card closer to a stress-free December, which is what it's all about, right?! Keyword for galleries and our flickr group is JB:13:09. There's a reason the annual "Earth Day Special" is one of our all-time favorite prompts, ♥JINGLE BELLES♥ and as long as you keep wow-ing us with your creative ideas and your clever, cunning and crafty re-purposing skills, we're going to keep throwing this challenge at you towards the end of each April! Here are a few cards that really raised the recycling bar in our humble opinion! 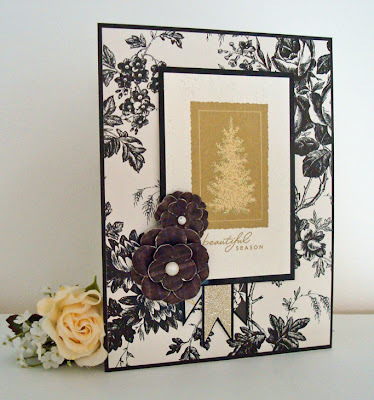 Made us smile, and impressed the heck out of us, with a card (and clever blog post!) that is not only flat-out gorgeous AND a brilliant re-use of a very handsome reindeer from an old Christmas card, but also embodies the true spirit of Earth Day in a way we truly ♥LOVE♥ and admire: despite a little mis-hap with some bright red glitter glue on her white cardbase, she just kept going, camouflaged the "boo boo" and ended up with a card that absolutely anyone would be proud to display on their holiday mantle! Rocked this challenge with multiple fabulous entries ... this card uses recycled plastic from bakery packaging to create a card ... that also includes the gift of a holiday ornament (so the recipient will be recycling too). Love her think outside the box creativity and beautiful end results. Make sure you scroll down and check out all of her other entries. 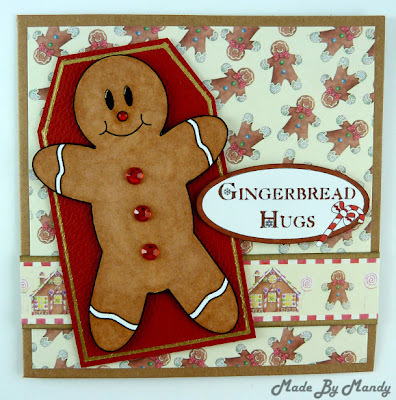 Who knew the inside of a wrapping paper roll be perfect thing to recycle to create this kraft cutie ... Mandy knew, that's who ... love this all-over gingerbread design. We're still celebrating Earth Day at Jingle Belles this week by creating projects that incorporate recycling. 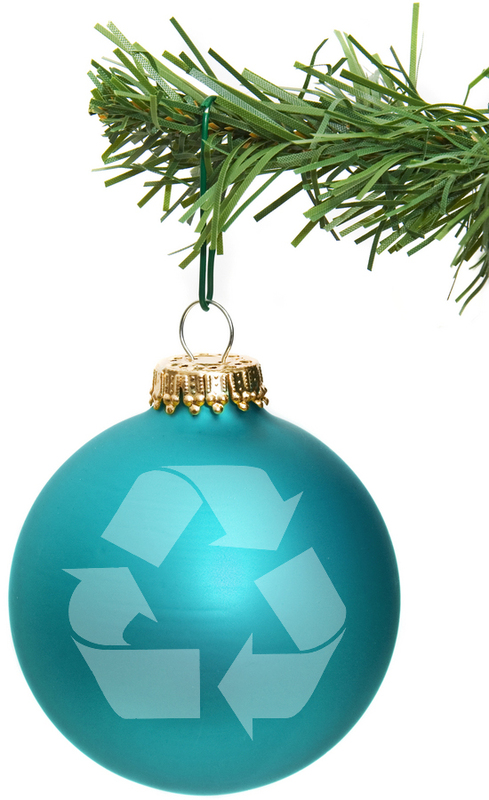 Here's our second round of recycled creations. Lauren says, "One of my 'real life' projects this week was to line the inside of some cupboards in my new home with this pretty black and white toile contact paper I snagged at the dollar store. There wasn't much leftover, but i rescued the biggest scrap... along with another lovely recycled holiday card from last year... to make this card. I also incorporated this week's awesome Merry Monday sketch!" Stephanie says, "Every year our marketing team at the office gets new sample books from the various paper manufacturers ... and the old paper sample books get to come home with me. 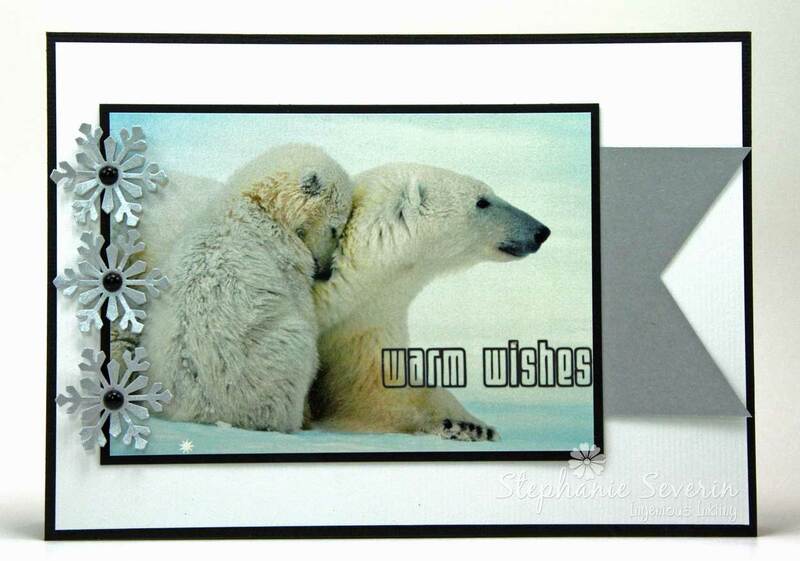 While the sample pieces are small, they are the perfect size for card making. 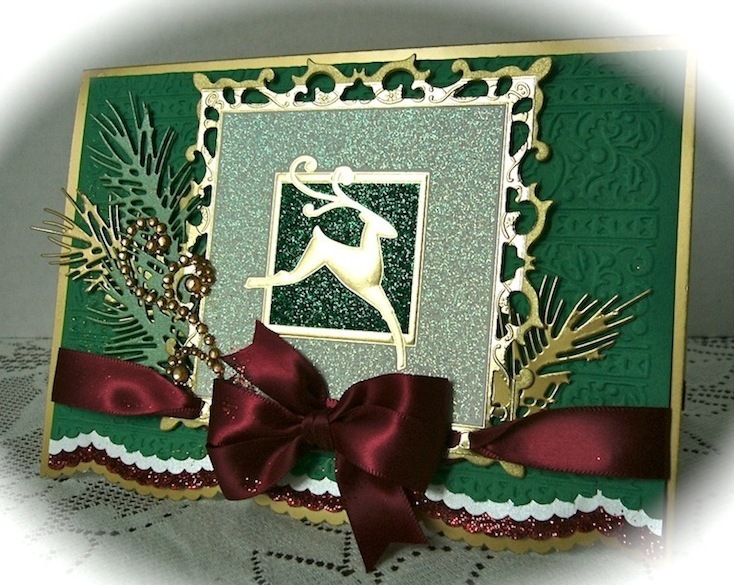 This entire card including the image (which was included in one book to show the effect of color printing on gorgeous ivory shimmer paper) was recycled from these sample books (love the gorgeous linen lines in the heavy background cardstock). 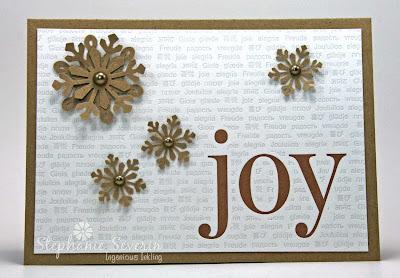 The silver shimmer cardstock was perfect for punching snowflakes, and I finished with an EAD Designs Vinyl rub-on sentiment. The layout is this week's Retro Sketch." 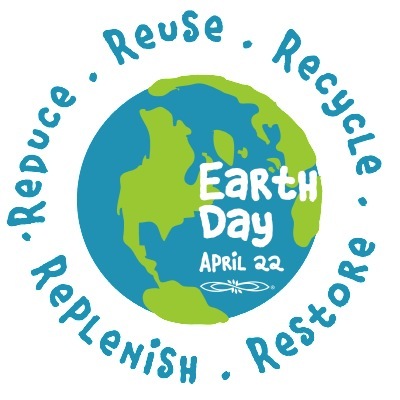 Remember, you have until 6pm (EST) on Wednesday, April 24th to link-up your recycled creations ... can't wait to see what you create. Welcome to the Third Annual Earth Day Celebration at Jingle Belles (which is officially April 22nd) ... we love recycling, especially when it means giving beautiful things new life, so this week's prompt is to create a card that includes a recycled element. Keep your eyes open to the beauty of packaging, used wrapping paper, advertisements, previously sent cards ... and even soda pop cans ... you never know where your next artful inspiration might be. Lauren says, "By far my favorite thing to recycle on Christmas cards is... CHRISTMAS CARDS! You know, the store-bought ones we all get in the mail are often just tooooooo pretty to throw away, and every year I save at least a couple I've received. 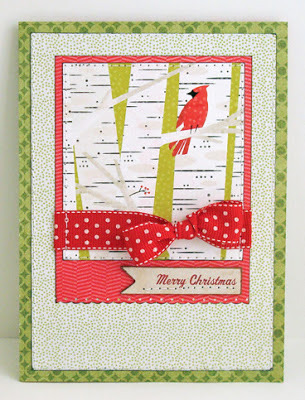 In this case, the panel with the cardinal-- which is actually even prettier irl, where you can see the pressure embossing that's raised the trees and branches!-- was a card my friend Cheryl was given, and she saved it knowing that I'd want to use it for something! 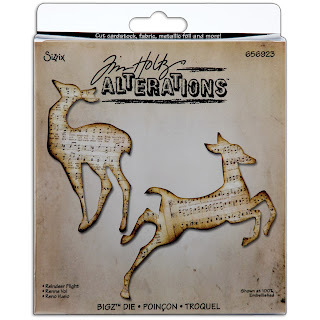 I've also got the white backing panel from a packet of Making Memories frames, a scrap of red paper cut for another project, the leftover bit of a chipboard sentiment banner, and a little piece of red ribbon which came on a package!" Stephanie says, "I too recycle Christmas cards ... and I am lucky enough that co-workers in my corner of our office save me the cards they receive as well. Often corporate holiday cards are of particularly high quality like this piece of heavy letterpress with fabulous subtle texty texture. In keeping with the neutral clean design of the base, I only added punched kraft snowflakes from recycled cardstock (attached with small glue dots in the center for some dimension) and some chocolate pearls before mounting on a kraft card base." So now it's time to see what you can find to recycle to celebrate Earth Day ... and then link-up with us between now and 6pm (EST) on Wednesday, April 24th ... keyword for galleries & our Jingle Belles Flickr Group is JB:13:08.
added one perfect gem star to her gorgeous sketch card creation... and it was the icing on the cake! 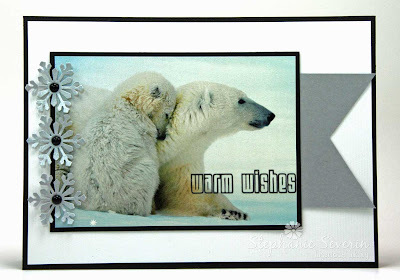 went all out with the most elegant silver frame imaginable, for a card that shines, in every sense! 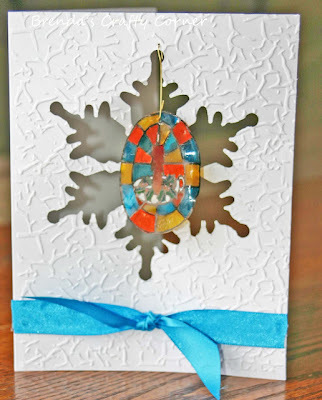 stamped and colored, layered and glittered, glimmered and shimmered... for a card that adds up to even more than the sum of its beautiful and sparkly parts! 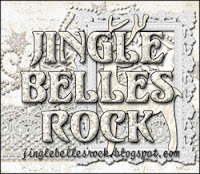 Shine on, ♥JINGLE BELLES♥, Shine on!!! 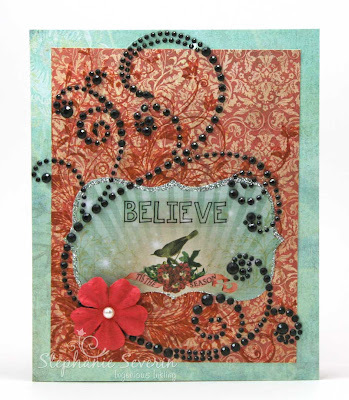 Lisa says, "This week I wanted to try out some different sparkly effects. 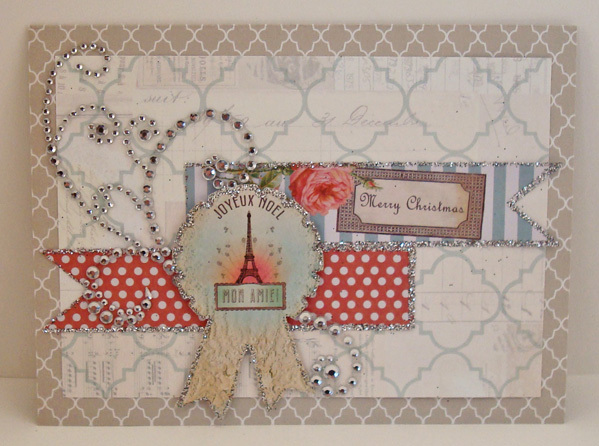 I based my card very loosely on a BasicGrey sketch over on their website (here) and decided to raid my glitter paper scraps for a double banner and star element. I glimmer misted a doily for the top and created a mini cluster with a couple of ready glittered, very old K&Co shapes. 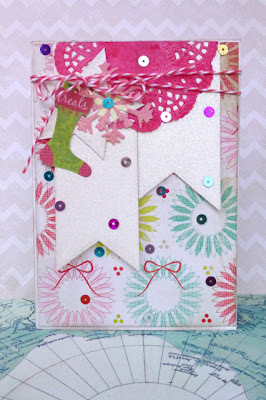 Some pretty pink twine was just the touch it needed tie-off the top of the card. 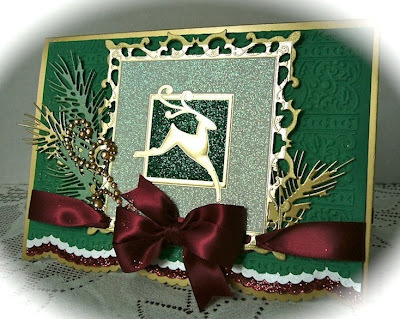 A scattering of sequins across the page added yet more bling and finished off this sparkly card. Pink and glittery, perfectly me!" 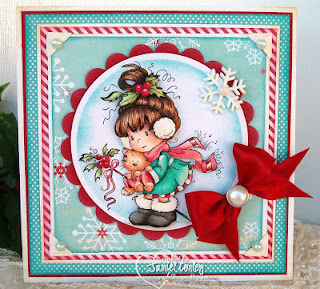 Lauren says, "This is one of the most pared-down cards I think I've ever made in terms of only using a few products, but with those three GORGEOUS Papaya Art Holiday Glitter Stickers, a fabulous rhinestone flourish, and two coordinated-but-not-matching papers (the white one by My Mind's Eye; the tan by Studio Calico) ...not to mention an utterly awesome older Mojo Monday sketch, I felt like I had every single thing I needed! Stephanie says, "I had to smile when I saw that Lauren and I used the same delicious Papaya Arts Glitter Stickers for our cards this week ... and very similar other elements (lots of blingy flourishes & coordinating designer papers ... mine from Basic Grey's Lucille Collection), however our cards still have a very different look ... love that. 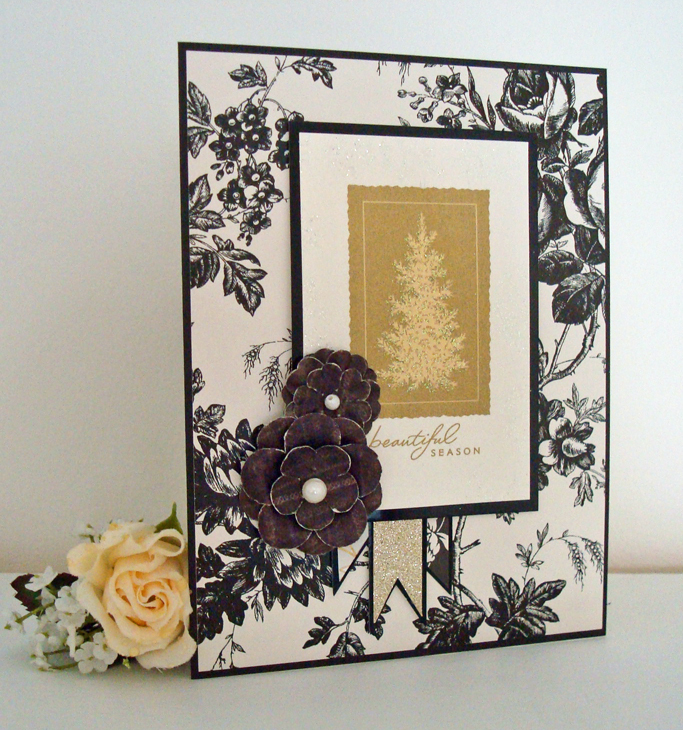 I added an SRM Sticker sentiment & flower to finish my design." If you need more inspiration, be sure to scroll down and check out the outlandishly lovely reader's gallery! 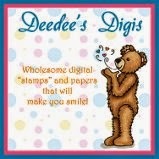 Then c'mon back and link up your own card, we can't wait to see it!